Best address for best addresses. There are many beautiful addresses in Cologne and the surrounding area. 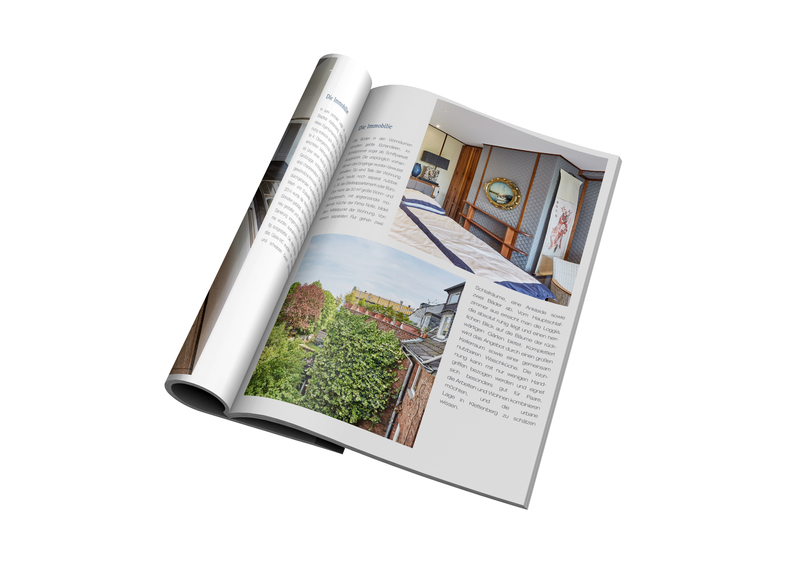 Brinkmann & Cie., a well-known real estate agent beyond the Rhine metropolis with more than 20 years of market knowledge, offers probably the most beautiful addresses. iD supported the experienced real estate agent in founding his new company and placed a special focus on ensuring that even the very demanding clientele could feel well advised at first glance. 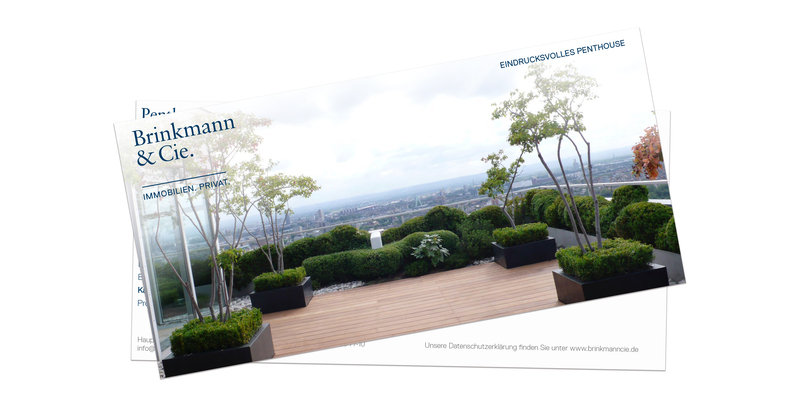 The Firmierung under Brinkmann & Cie. real estates. Private” thus supports the exclusivity of the company and gives the security that one can choose one’s dream property without being bothered. Arrive and be thrilled before you set foot over the threshold: The website and exposees are highly aesthetic and focus on the properties. Clear, harmonious business stationery, postcards, advertisements, social media and the shop’s equipment round off the stylish brand ambience.